If you’ve grown bored of Instagram’s filters, there’s a new option for giving your iPhone photos a little touch of magic. 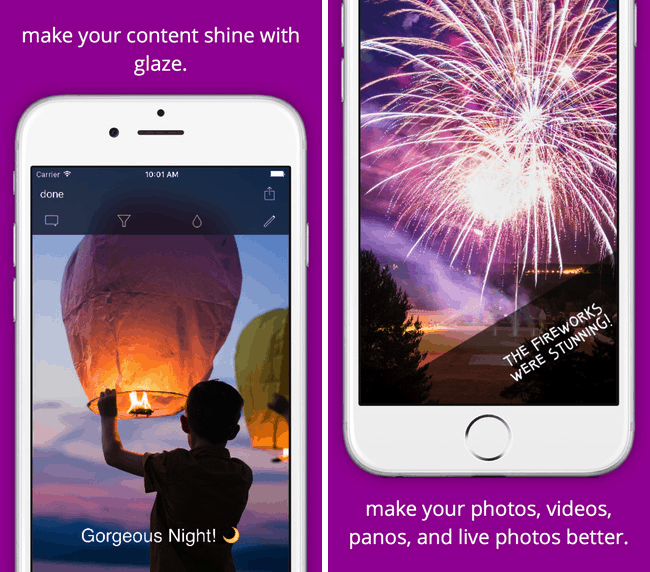 New image-editing app Glaze is a one-stop-shop for photo tweakers that lets you jazz up still images, videos and — for iPhone 6s users — Live Photos, too.“When I was looking around for an app to create, I couldn’t find a single image app which was comprehensive across all content types,” says Glaze creator Ryan Stephen. “This was my response.”Perhaps most impressive of all? Stephen is a 16-year-old from Portland, Oregon, whose self-taught coding skills landed him a place at last year’s Worldwide Developers Conference — on Apple’s dime. A great new photo-editing app for iOS. 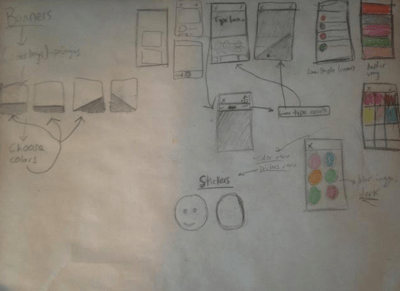 Yes, apps really do start out as sketches on the back of an envelope. Glaze lets users apply a range of filters to their pictures, carry out Snapchat-style drawing on top of a photo or video, or add text bubbles and emojis — before sharing the result online, of course. With no sign-up required. To be eligible, would-be devs have to be 13 years or older, and a full or part-time student. Stephen was a 15 when he applied to Apple, submitting a sample app to show off his coding ability. Within a month, he’d heard back from the company, which offered him a free one-week V.I.P. ticket to WWDC. 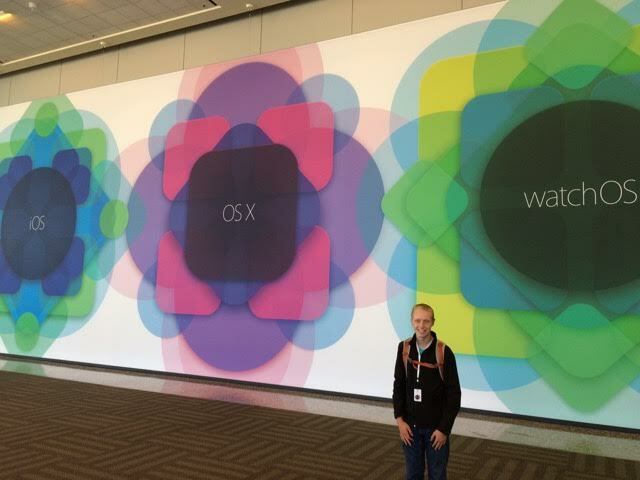 Hopping on a plane, he got to enjoy being part of the buzzy developer scene which descends on Cupertino for Apple’s annual developer conference — complete with the enviable opportunity to have his work critiqued by a full-time Apple designer. 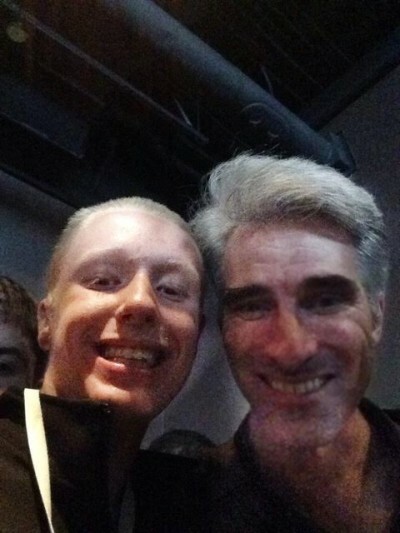 Craig Federighi dropped in to offer some words of wisdom. Now that Glaze is finished, Ryan Stephen plans to keep developing it, adding more features where he can. But he learned a valuable lesson from Apple. You can download Glaze from the App Store for $0.99 here. Who knows? Perhaps in ten years you’ll be able to say you supported Ryan Stephen before it was cool. P.S. FROM GRANDMA KAREN: I’ve supported Ryan since the day he was born along with the rest of his loving family. He’s come a long way since that first week of life he spent in the NICU at UC Davis. Who knew what lay ahead for him. This entry was posted in App development, Family, Grandchildren, Karen Stephen Author, WWDC and tagged @docflamingo, App development, Glaze app, Grandchildren, Karen Stephen Author, Photo app, Ryan Stephen, Teen app developer by Dr. Karen Stephen. Bookmark the permalink.